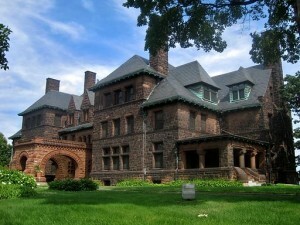 James J. Hill House, a U.S. National Historic Landmark in Saint Paul, Minn., built in 1891. The IRS just extended the deadline for its new reporting requirements for inherited assets. This extended deadline, says the IRS in a notice issued August 21, 2015 (Notice 2015-57, 2015-36), was deemed necessary to allow adequate time to issue additional guidance for compliance. The new due date has been changed to Feb. 29, 2016. The act outlines a requirement that anyone inheriting property cannot treat the property as having a higher basis than what is reported by the estate for estate tax purposes. Executors of estates are required to furnish information returns to the IRS and payee statements to any person acquiring property from the estate. These statements will identify the value of each interest in property acquired from the estate as reported on the estate tax return. The newest extension applies to executors of the estates of decedents and to other persons who are required under section 6018(a) or (b) to file a return if that return is filed after July 31, 2015. For statements required under sections 6035(a)(1) and (a)(2) to be filed with the IRS or furnished to a beneficiary before Feb. 29, 2016, the due date under section 6035(a)(3) is delayed to Feb. 29, 2016. According to the IRS extension notice, executors and other persons required to file or furnish a statement under section 6035(a)(1) or (a)(2) should not do so until the issuance of forms or further guidance by the Treasury Department and the IRS addressing the requirements of section 6035. 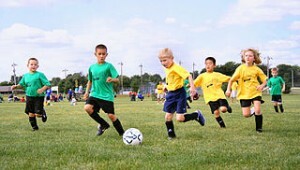 It’s August, and many youth sports groups are in full swing, or about to start up this autumn. Good news for these groups, and other nonprofit organizations, is that the state of Minnesota has doubled their sales tax exemption this year. Where there’s a will there’s a way … and lawmakers who haven’t been able to get a comprehensive Tax Extenders Bill through Congress found another way to get some important tax provisions signed into law. The short-term highway funding extension bill, signed by President Barack Obama on July 31, includes several major tax changes impacting businesses and individuals. The act has changed the due dates for income tax reporting by partnerships and C corporations starting with the 2016 tax year. Other key provisions include increasing the reporting requirements for mortgage interest returns, and new reporting requirements for inheritances. The new income tax due dates are viewed as an improvement by many industry professionals. The American Institute of Certified Public Accountants (AICPA) and state CPA associations have been advocating for these changes for several years. These new dates will help taxpayers and preparers to create a “more logical flow of information,” according to a recent report in the Journal of Accounting. The current due dates have been problematic, leaving taxpayers and preparers with insufficient time to prepare returns because information from flowthrough businesses is not available before the tax return is due. For partnership returns, the new due date is March 15 for calendar-year partnerships, and the 15th day of the third month after close of the fiscal year for fiscal-year partnerships. The act also directs the IRS to allow an extension of up to six months for these returns. For C corporations, the new due date is the 15th day of the fourth month following the close of the corporation’s year, extending it by one month. The IRS can grant a six-month extension (for calendar-year corporations, the extension is five months). Corporations with a June 30 fiscal year end would get a seven month extension, but the changed due dates for these corporations will not apply until tax years ending after December 31, 2025. The act also moves up the due date for FinCEN Form 114, Report of Foreign Bank and Financial Accounts (FBAR), from June 30 to April 15, and allows taxpayers a 6-month extension. The due date for Form 3520, Annual Return to Report Transactions With Foreign Trusts and Receipt of Certain Foreign Gifts, will be April 15 for calendar-year filers, with a maximum six-month extension. 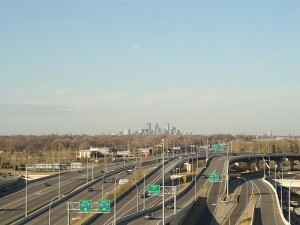 The act provides for extensions on Form 1041, U.S. Income Tax Return for Estates and Trusts (5 ½ months) and Form 5500, Annual Return/Report of Employee Benefit Plan (3 ½ months); as well as extensions of up to six months for several other common forms, including Form 990, Return of Organization Exempt From Income Tax; Form 4720, Return of Certain Excise Taxes Under Chapters 41 and 42 of the Internal Revenue Code; Form 5227, Split-Interest Trust Information Return. Individuals paying more than $600 in mortgage interest per year will be required to provide more information on their interest statements. Preparers will now need to report the outstanding principal on the mortgage at the beginning of the calendar year, the address of the property securing the mortgage, and the mortgage origination date. This change applies for statements due after Dec. 31, 2016. The act outlines a requirement that anyone inheriting property cannot treat the property as having a higher basis than what is reported by the estate for estate tax purposes. In conjunction with this, executors of estates are required to furnish information returns to the IRS and payee statements to any person acquiring property from the estate. These statements will identify the value of each interest in property acquired from the estate as reported on the estate tax return.